How to turn knowledge into profits? We know! Working with top ecommerce experts and having helped over 25,000 online sellers grow their sales, we have rich resources and know-how at our disposal. We’re also more than happy to share them with you. 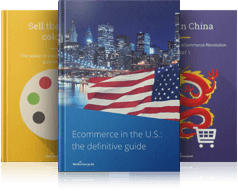 We want you to learn about what drives international online buyers and their behaviour. We want you to understand deciding factors that may make the buyer click on the ‘buy button’ from YOUR product listing. In this section, we’ll provide you with the results of various ecommerce studies, from both external sources as well as our rich in-house company data. Check out our articles and stay on top of ecommerce facts, stats, figures and current trends!